Choosingyour setting can be a challenge, because there are so many options. Take the historical Tiffany setting, for example. You must select the number of prongs in the setting, and that is not necessarily an easy task. A four prong setting is beautiful, and it gives your stone maximum exposure to light and to the eyes to see it. This is ideal for smaller stones, anywhere from a quarter carat to a half carat diamond. A six prong setting will be more secure, and for larger stones it will grip the girdle better, giving you peace of mind. What Are Diamond Rings with Side Stones? Selecting the ideal clarity, color and cut of your center diamond is a top priority in engagement ring selection. It is also the major cost determining factor. Diamond engagement rings with side stones will come set with stones of standard color and clarity. Since they are small, the stones can be of lesser quality than the center diamond and still accentuate it properly. If you have questions about the side stones in any of the items in our bridal collection, please ask us about them! Fine jewelry is our heart, and we love to share it. As with our entire engagement ring section, the items come in various shapes, set with round cut diamonds, princess cut diamonds and eight more. You can still select your ideal center stone based on carat weight, color or clarity. 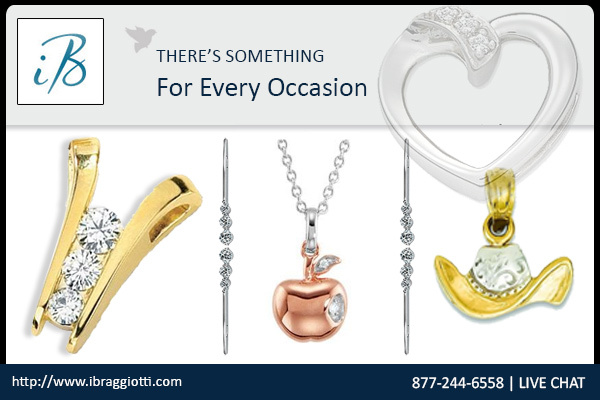 If you can’t find what you’re looking for, or if you want to modify an existing item to fit your needs exactly, visit the iBraggiotti Jewelry Custom Shop.